Electronic cigarettes, also known as E-cigarettes, electronic nicotine delivery systems (ENDS), EC, e-cigs or PVs, are battery operated devices designed to deliver nicotine with flavoring and other chemicals to users in vapor form instead of smoke. More than 250 different E-cigarette brands are currently operating in the market. E-cigarettes are often considered as safer alternatives to traditional tobacco smoking, which deliver nicotine by burning tobacco. E-Cigarettes are classified into disposables, Cig-a-likes, E-cigars, E-juice and vape mode. The primary parts that make up an E-cigarette are a mouthpiece, a cartridge (tank), a heating element/atomizer, a microprocessor, a battery, and possibly a LED light on the end. E-cigarettes pose potential risks and benefits to the individual users. The US is the largest market of E-cigarettes and is expected to grow further because of increasing number of tobacco smokers who are shifting to a safer alternative i.e. E-cigarettes. In European E-cigarette market, the UK is the fastest growing region with many upcoming small retailors and vendors, providing innovative & cost effective E-cigarettes. The key factors driving the growth of the global E-cigarette market includes increasing E-cigarette users, reducing cigarette consumption, high prices of tobacco cigarettes, rising E-cigarette use among youngsters and growing youth population. However, there are certain factors which hinder the growth of the market like poor nicotine delivery and upcoming tough FDA approvals. The recent trends of the E-cigarette market are increasing awareness through advertising, increasing prevalence of ex-smokers, innovation, and many more.  The report offers in-depth analysis of the “Global E-Cigarette Market”. Competition is largely between the top most tobacco companies who have introduced e-cigarettes as it segments to compensate the falling market share of the conventional tobacco smoking segment. The E-cigarette companies that have been covered in the report include Imperial Tobacco Group PLC, Altria Group Inc., Japan Tobacco Inc., and Reynolds American Inc.